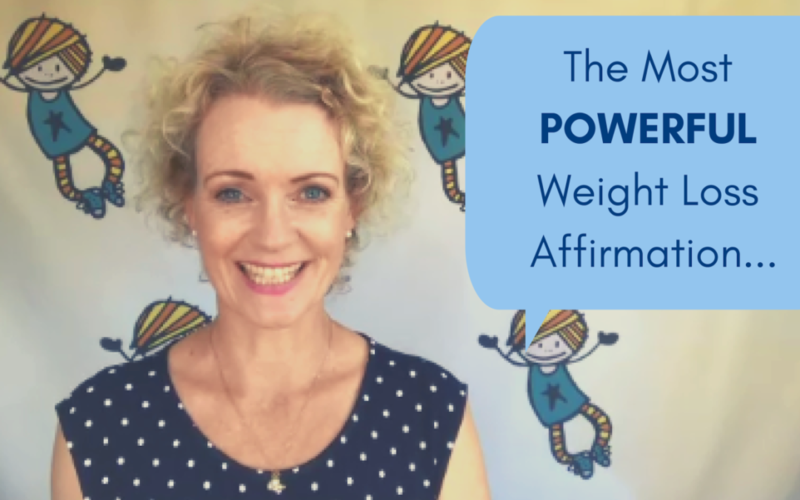 Today, I’m thrilled to share with you my favourite weight loss affirmation. Now, there’s a bunch of people out there who knock affirmations and claim, “they just don’t work”. Maybe you’re one of ‘em. Once upon a time, I used to be suuuuuper cynical of affirmations too. Course, affirmations DO work. Because anything you repeat to yourself on a consistent basis WILL BECOME YOUR TRUTH. So here’s my favourite affirmation. Or, for those of you who like the long version: “I am enough”. Say it to yourself now – “I am enough”. Notice how it feels in your body. Saying it at the beginning of the meal helps to curb your appetite. Do you see how this enough-ness game works?